People love to encourage you to chase your dreams. They mostly mean well. What they don’t tell you is that you are probably going to fail a lot. And, the problem with pursuing a dream is that it’s hard to know when to quit. On this episode, we discuss the difficulties of giving up a dream, and how to move on when it’s no longer a part of who you are. This episode is sponsored by Freshbooks. To claim your free month trial – with no credit card needed – visit Freshbooks.com/accidental. I've spoken internationally to tens of thousands of people. Learn how to bring me to your company or event. Learn more about The Accidental Creative, Die Empty, and Louder Than Words. My best ideas right to your inbox. 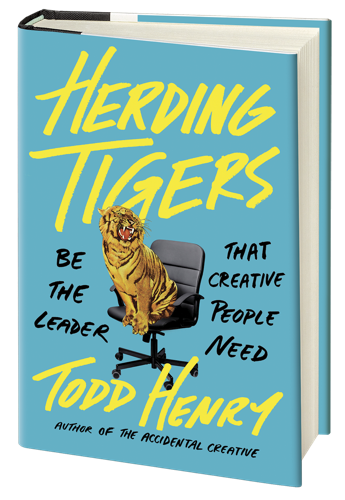 Todd Henry is an author, international speaker, consultant, and advisor. He is the author of four books, which have been translated into more than a dozen languages.